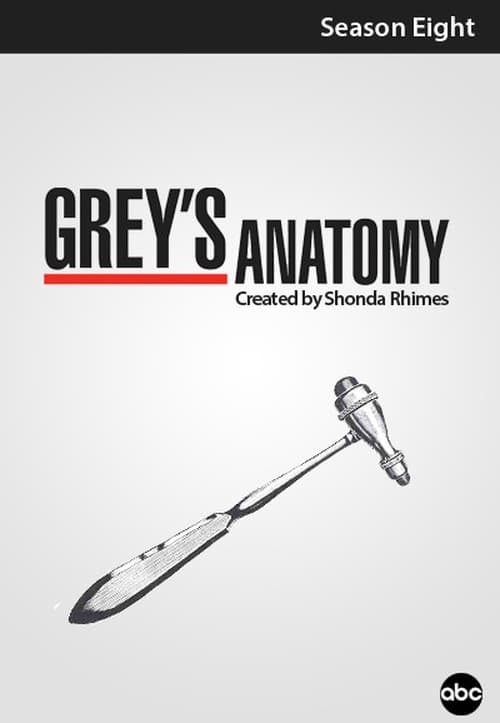 The eighth season of the American television medical drama Grey's Anatomy, commenced airing on the American Broadcasting Company on September 22, 2011, with a special two-hour episode and ended on May 17, 2012 with the eighth season having a total of 24 episodes. The season was produced by ABC Studios, in association with Shondaland Production Company and The Mark Gordon Company; the showrunner being Shonda Rhimes. Grey's Anatomy Season 8 Episode 4 : What is it About Men? Grey's Anatomy Season 8 Episode 15 : Have You Seen Me Lately?